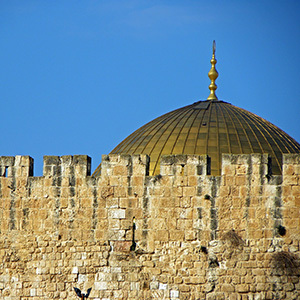 Building fellowship and community among fellow travelers is just one of the ways to connect spiritually on this biblical tour of Israel. Experience the power of Scripture as it comes to life with memorable visits to Nazareth, Bethlehem, the Sea of Galilee and Jerusalem. Take time to meditate by the Garden Tomb and visit the Kaser-El-Yahud baptismal site.Jerusalem is dense with holy sites, tied to both the Old and the New Testament: King David’s Tomb, the Garden of Olives, the Church of the Holy Sepulchre. Take in all of them and also learn more about Israel’s archeological past at the Israel Museum and more recent present at the Yad Vashem, the Holocaust History Museum. . This journey will lead you in the footsteps of Jesus as you learn and hear stories about His ministry, miracles and life. Tel Aviv-Jaffa, city (1989 est. pop. 330,000), W central Israel, on the Mediterranean Sea. It is Israel’s second largest city, its financial and commercial center, and a major diamond-processing center. The city is also a tourist resort with wide, attractive beaches. Tel Aviv was founded (1909) by Jews from Jaffa, a major Arab population center, and its population grew dramatically after 1920. It was Israel’s first capital (1948-49) and many foreign embassies are still located in the city. A cultural center, it is the site of many theaters, leading museums, and several musical organizations, including the Israel Philharmonic. Tel Aviv and Jaffa were merged in 1950. During the Persian Gulf War the city was subjected to Iraqi missile attacks.